Google or Self-hosted: Which jQuery Library is Best for You? Whether you're new to jQuery or are simply reevaluating the way you use it, it's worth looking into the most practical way to load it onto your website. Up until a few years ago, the only option was to upload a copy into each website's directory. 1) How long much time is consumed by script downloads? Because the script request is made on a different server, script download (it it's even necessary; see below) would take place in parallel with your server scripts. Runs on the same server as your website, so it loads in succession with other scripts, adding to overall download time. 2) How does it utilize the user's cache? Since so many websites utilize this library, it's very likely that the user already has this file in their cache and won't need to download it again when they visit your site, speeding up load time. Located in one place: your server. Download times are affected by the user's proximity to your server. 3) Which server delivers the code? 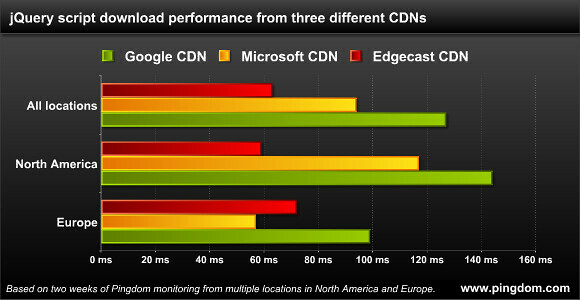 Circulates your static code across a broad range of servers worldwide using a Content Delivery Network (CDN), thereby minimizing download times by automatically choosing the server closest to the user. 4) Can I customize the script? 5) How much control do I have over security? None; if someone hacks into Google, the script running on your site could be at risk. However, we're talking about Google here. The likelihood of their well-financed security getting hacked is slim. Also, if Google goes down, your script will go down as well; but again, this is a very rare occurrence. Complete; if you want to control the level of security, you will have to use your own. However, keep in mind that any server is prone to attack or downtime, and you'll likely have to invest highly in a system more secure than Google's. 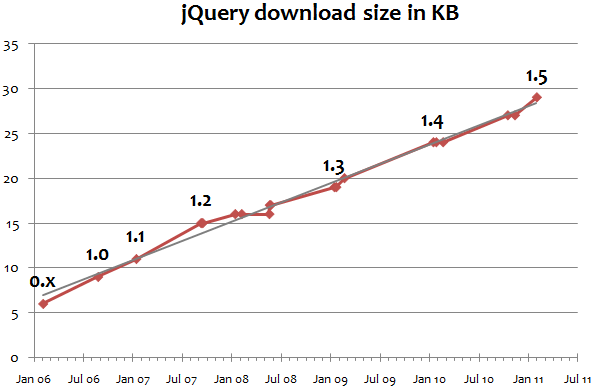 As you can see, for most cases, the Google-hosted jQuery library is a better, faster option. However, if you wish to monitor your own security, or the site will be used within an intranet system, a self-hosted library would probably work better for you. Mandy Barrington is the lead web designer at RYP Marketing, a Tampa web design agency focused on increasing ROI in online marketing. You can find more tips and advice on the RYP Marketing blog. Google or Self-hosted: Which jQuery Library is Best for You? 3.1/5 11 votes / 55,587 previews / 1 comment 14/12/2011 Whether you're new to jQuery or are simply reevaluating the way you use it, ...Google or Self-hosted: Which jQuery Library is Best for You? 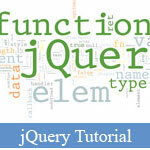 - Google or Self-hosted: Which jQuery Library is Best for You?